The Italy we know is a place of wonder. Medieval hamlets perched atop of hilltops, looking out across noble vineyards and olive groves. It is centuries old wine cellars, barns fragrant with Pecorino. It’s encounters with people rich in traditions and heritage. And, of course, it is food. Food that excites with fresh seasonal ingredients, food made with love. The Italy we know inspires and begs to be explored. Someone who knows the depth of inspiration Italy can offer is Joshua McFadden of Ava Gene’s in Portland, Oregon. Joshua will share the Italy he knows and loves. Join us as we weave our way through the vibrant and eclectic neighborhoods of Rome, discover the farm-to-table delights of Tuscany, and be immersed in the art and architecture of Florence. At every turn we are joined by experts eager to share their knowledge and pride – the local farmers, chefs and artisanal producers who make our culinary adventure possible. And a highlight of our time together is an evening where Joshua will prepare a feast for us to enjoy. If you call yourself a food lover, if your heart is drawn to art, passion and celebration – this is the trip for you. 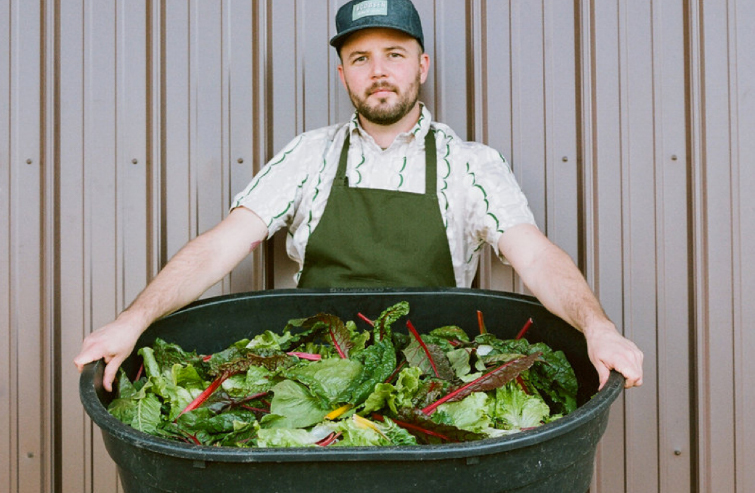 Joshua McFadden is more than just executive chef/owner of Portland's highly acclaimed Ava Gene's and Tusk restaurants. Joshua is a legend. His enthusiasm is infectious. We learn something new from him every day, and we’re proud to have his culinary expertise by our side on this journey. Joshua has worked at Momofuku, Lupa, and Blue Hill in New York; for Alice Waters at the American Academy in Rome; and at the Four Season Farm in coastal Maine as a farm manager, where his love for soil and seeds was born. There’s a thoughtfulness to his technique that we can’t help but admire, a love for the ingredient that shows on the plate. Experiencing Joshua’s food does something to you. Diving into one of his beautiful plates makes you aware of the intricate work that went into the meal and makes you appreciate every last morsel on your plate. Watch Joshua knead a roll of dough and you’ll instantly see what we see: magic. Small knobs of orecchiette; long, twisting strands of bucatini; wheat-colored strips of pappardelle. If you can dream it, Joshua can make it. Roman pizza. Tuscan Brunello di Montalcino. Florentine lampredotto. Whatever you choose, your mouth is in for the experience of a lifetime. Rome, Tuscany and Florence with Joshua McFadden. 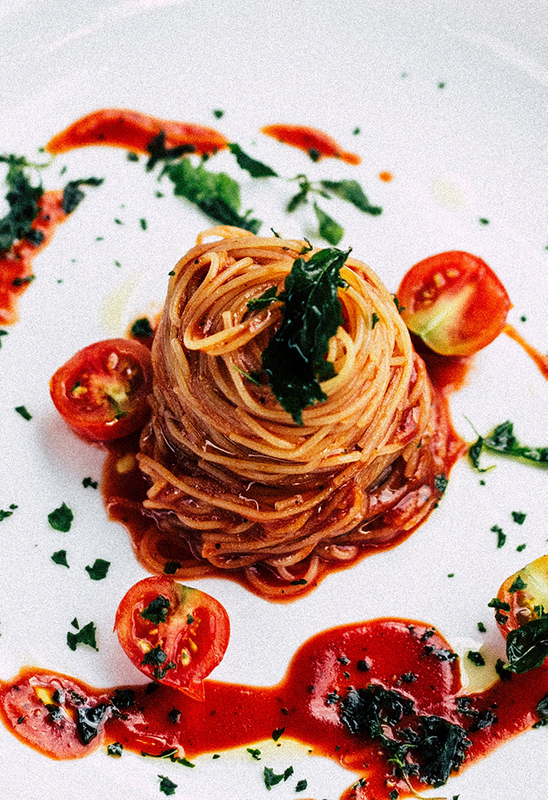 We’ll explore Italy’s iconic cities, medieval hamlets, noble vineyards and - of course, its food. Join Joshua and experience Italy through the lens of food, wine and celebration. 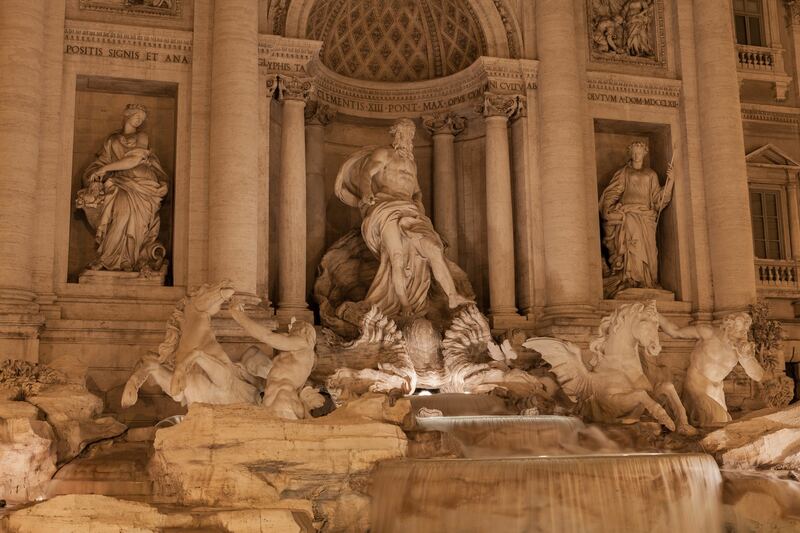 We’ll kick off the trip at our hotel in Rome, in the heart of the vibrant Trastevere district. 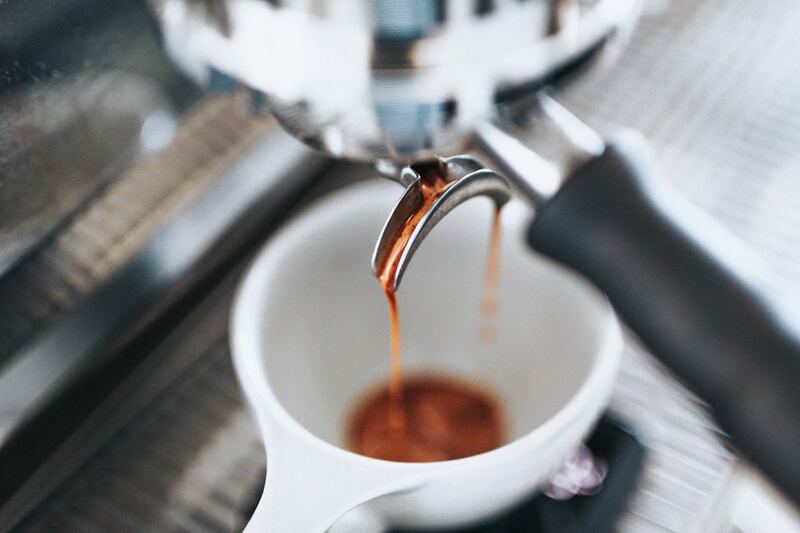 Freshen up, sip an espresso or two, and prepare for a food-lover’s introduction to Rome led by Katie Parla, an expert on Italy’s highly evolved food culture and author of the award-winning cookbook Tasting Rome. Katie will lead us on a walking tour of the neighborhood focused on food: from Rome’s humble street stalls and centuries-old bakeries to its traditional bars and grand trattorias. In the evening we’ll regroup for a neighborhood appertivo, then head to dinner at a traditional Roman pizzeria. 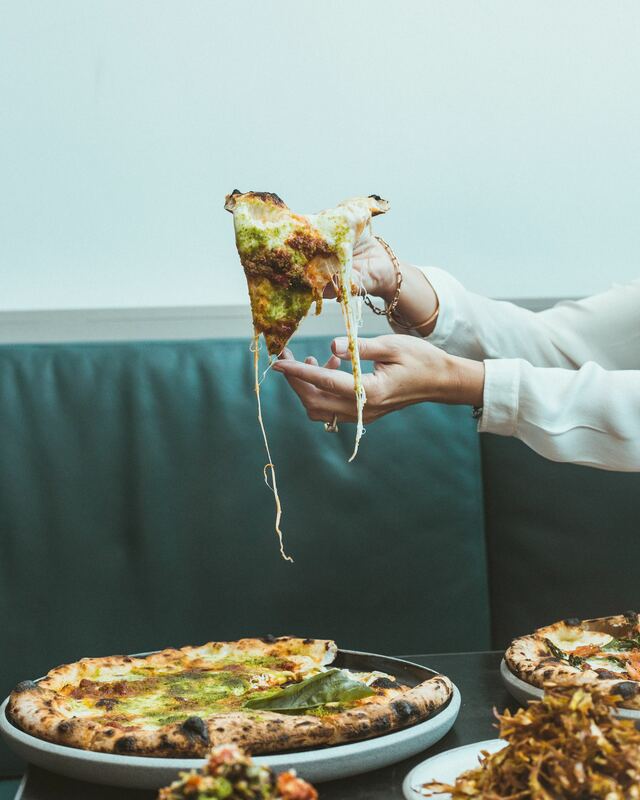 This is pizza like you’ve always dreamed of – tucked away in cobbled back alley, packed with Rome locals, serving up slow-rise dough that crisps up beautifully in the wood-fire oven. With no disrespect to Neopolitan-style pizza, Roman pizza is where it’s at. We start with a stroll through Rome’s famous Campo de’Fiori, soaking up the bustle and vibrancy of this bountiful market. We’ll explore Piazza Navona and Piazza Farnese, cross over the Arno river via Ponte Sisto, and stop for an espresso and walk-through of the mighty Pantheon, the jewel in the crown of Rome’s Baroque period. 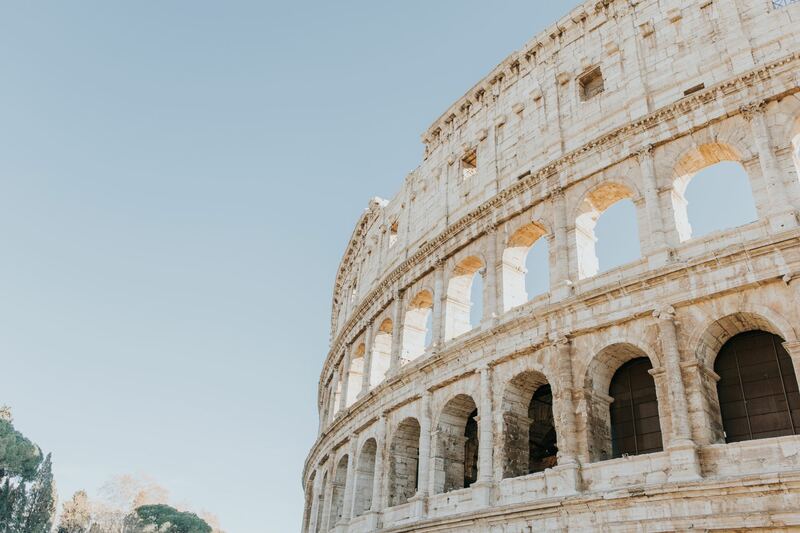 After lunch, we split up into small groups for an activity of your choosing: a ride-along Vespa tour of the city, motoring through Rome’s iconic neighborhoods; or a walking tour of ancient Rome and a deep dive into archaeology and architecture. 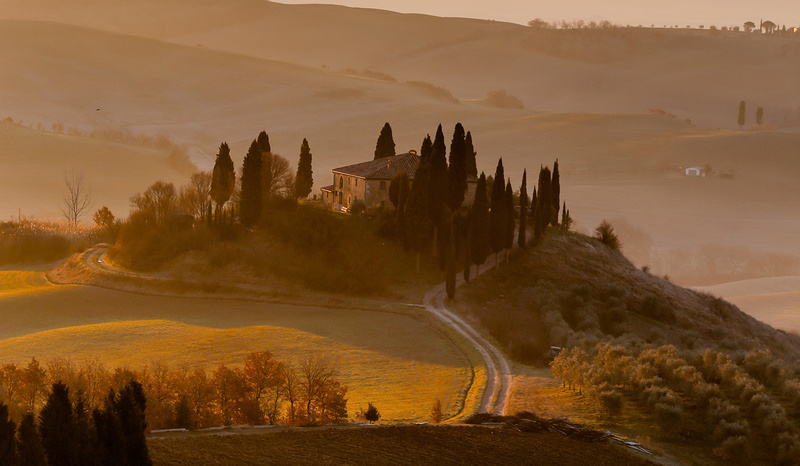 We leave Rome and head to the idyllic and iconic countryside that is Tuscany. First stop on our short journey is the remarkable hilltop village of Civita di Bagnoregio, home to fewer than 50 people (no cars allowed) to enjoy an aperitivo and typical Tuscan lunch in a glorious medieval setting. Next is a visit and tasting at Oliviera Sant’Angelo, a family-owned olive grove and mill. With just 3,000 trees, it produces some of Tuscany’s finest varietals (Frantoio, Coorreggiolo, Moraiolo, Pendolino) and an extraordinary range of flavors and aromas. Dinner is in the ancient courtyard of our hotel, with produce from the adjacent farms and a selection of wine from surrounding vineyards. In the morning we visit Pienza, a UNESCO World Heritage Site and a pearl of Renaissance Italian architecture. Then it’s off to an organic cheese and dairy farm to taste their divine yogurts and to see how the unique Pecorino Toscano, a firm ewe’s milk cheese, is made, followed by a farmhouse lunch. 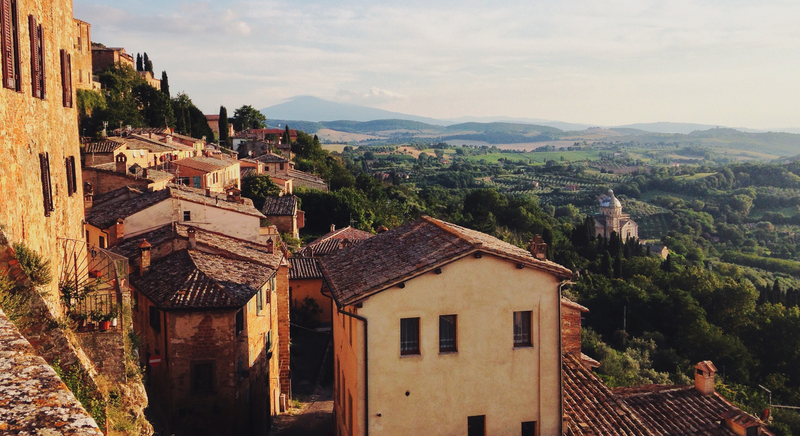 After lunch explore the winding streets of Montepulciano, a medieval hilltop town surounded by ancient vineyards. An expert sommelier will lead us trough a tasting of Montepulciano’s most memorable Chianti Classicos and Brunellos. Dinner is a farm-to-table celebration of Tuscany cooked for us by Joshua himself. He understands vegetables truly, madly, deeply, and never stops asking what really good food is all about. It’s a true honor to watch Joshua cook and share his passion for food. In the morning we’re off to the vineyards of medieval Castello di Volpaia. 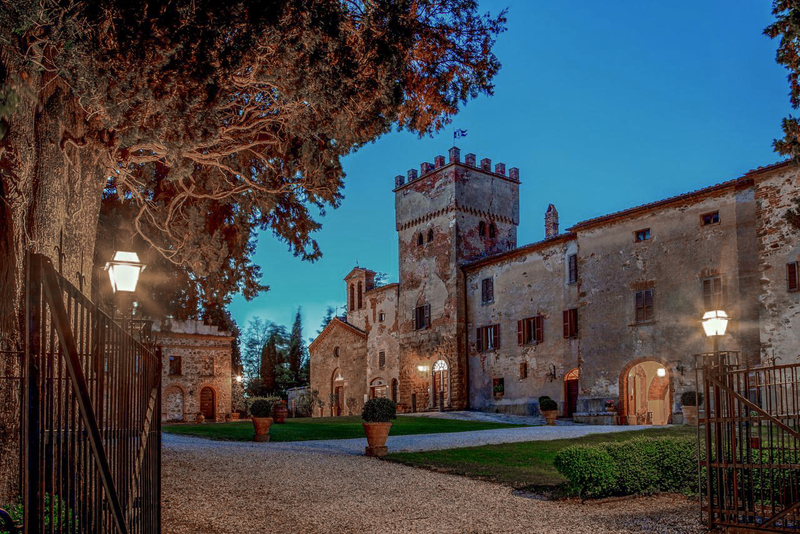 We’ll visit the grounds and underground vaults of this centuries-old fortified castle, and enjoy a VIP tasting of their very best Chianti Classicos (DOCG, Riserva, Coltassala) overlooking the vines, olive groves and forests of Chianti. 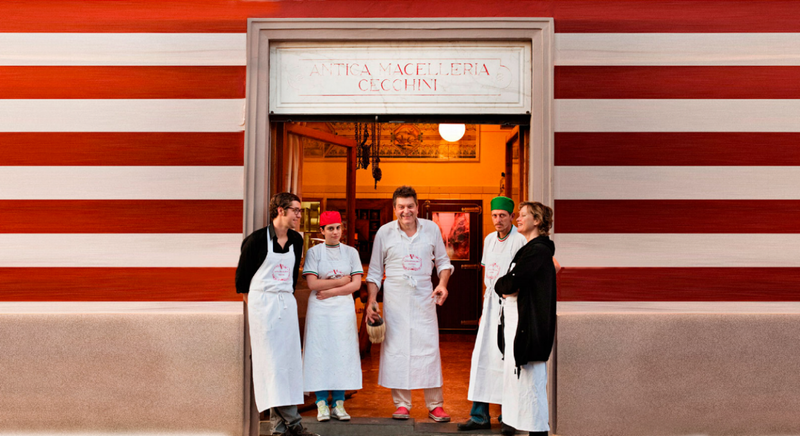 Lunch is at Dario Cecchini’s legendary butcher shop, Macelleria Cecchini. Dario, whose family has been in the business for eight generations, is a master of nose-to-tail butchery. Our five-course lunch around Dario’s open grill is about celebrating life together with friendship and lots of beautiful steaks to devour. 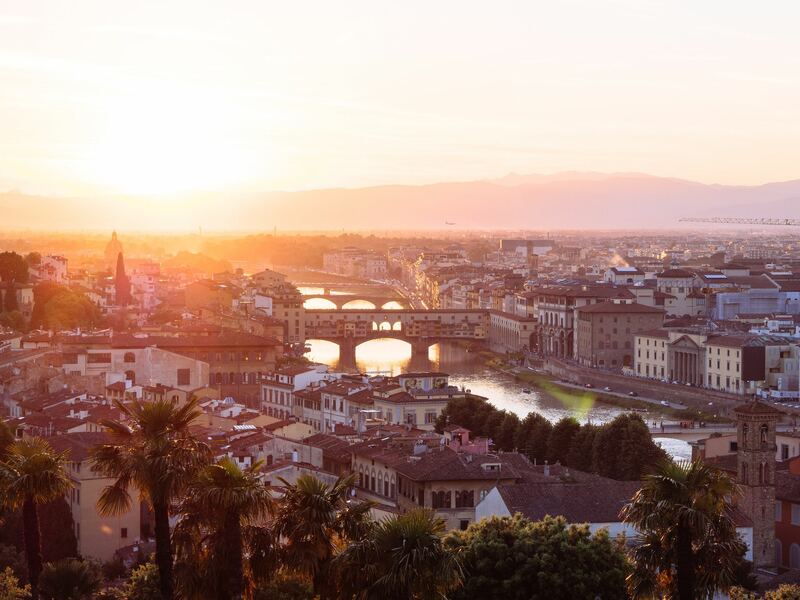 With our stomachs and hearts full we’ll drive on to Florence to our hotel in the heart of the city and have the day to explore or relax on our own. The amazing city of Florence will steal your heart and not let go. We start at Florence’s iconic cathedral, the Duomo, with its magnificent Renaissance dome designed by Filippo Brunelleschi. Then we’ll walk the streets of Florence with a focus Renaissance art and architecture, finishing at the Mercato Centrale to sample the fresh local produce on offer. With this context and inspiration we’ll have the rest of the day to enjoy lunch and explore the wonders of Florence on our own. Dive into art and sculpture at the Uffizi and Galleria dell’Accademia museums. Or simply get lost and wander the endlessly fascinating streets of Florence. The choice is yours. In the evening we’ll gather for a spectacular final dinner, where we’ll toast Joshua and our adventures together. Salute! Our final day together: We’ll say Arrivederci, which means, Italy just rocked our worlds! After breakfast we’ll share stories of our adventures and discoveries and say our goodbyes, before departing to Florence’s airport or wherever your journey takes you. Boutique design hotels in Rome and Florence, a luxurious medieval villa overlooking the vineyards of Tuscany - our accommodations reflect the beauty and grace of Italy and set the tone for our week of inspired culinary exploration. Our hotel is a boutique urban oasis in the heart of Renaissance Rome and the popular Trastevere district, with its excellent trattorias, nightlife and shopping. The four-star hotel is a converted 17th-century monastery, with grounds that retain an ancient sense of peace and tranquility. The rooftop terrace is a great spot for enjoying a glass of wine with a breathtaking view. 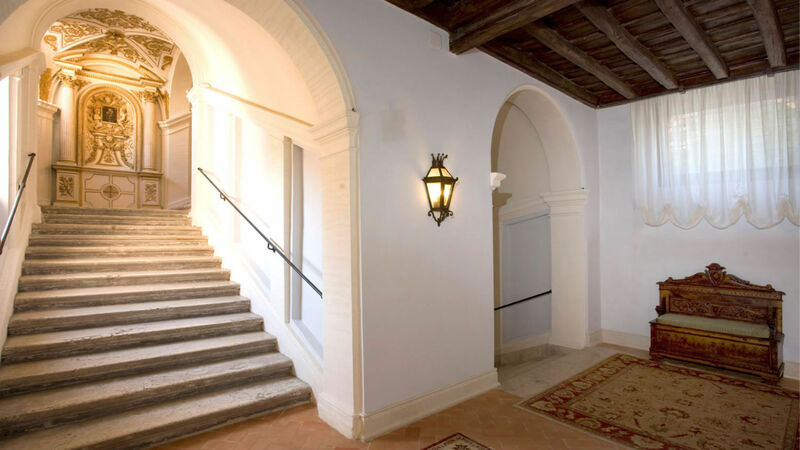 This is genuine Tuscany: a luxurious former convent set atop a hill and overlooking the vineyards and fields of the ancient village of Abbadia a Sicille, close to Montepulciano and Pienza. The hotel feels like a secret hilltop retreat with expansive gardens and grounds, and the kind of swimming pool you half expect to find Leonardo DiCaprio at, lounging poolside with a cocktail in hand. It's a perfect summer getaway with spacious rooms and stunning views across the postcard-perfect Tuscan countryside. 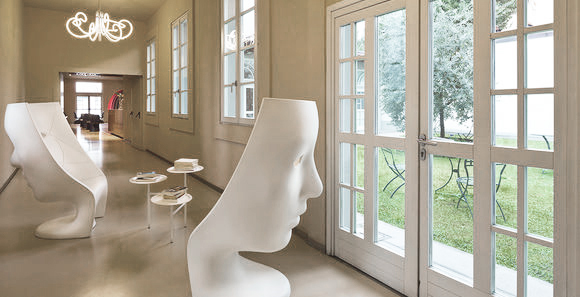 If Florence is known for its art, then the Hotel Cellai is proud to uphold that tradition. It's located in the historic center of Florence just a short walk from the Galleria dell’Accademia (home to Michelangelo’s iconic sculpture of David) and Florence's famed Duomo cathedral. The hotel itself incorporates a deep passion for art into every aspect of its design. There are jaw-dropping views of Florence from the rooftop garden and wine bar up, so grab yourself a glass and take a moment to silently breathe in everything that is Florence in all its majesty. 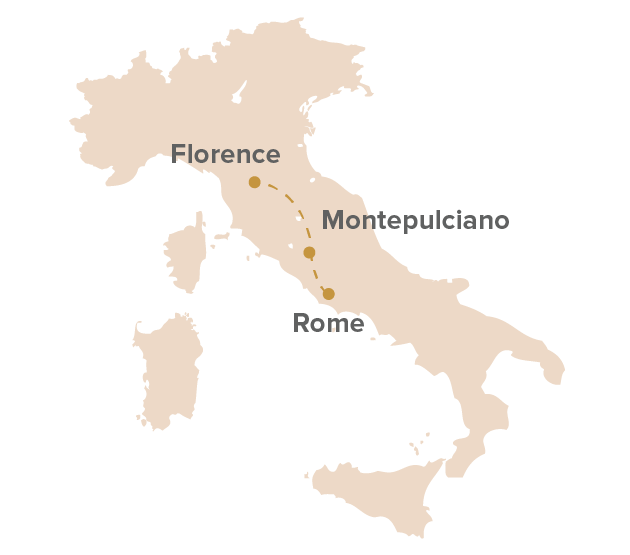 Six nights of four-star hotel and country lodgings; most meals (wine generally included with lunch and dinner); wine and food tastings, and guided activities, as noted; private in-country group transportation from Rome to Florence; luggage transfers. Air transportation to/from Italy; airport transfers; one lunch and one dinner; alcoholic beverages (except at included lunches + dinners, and at wine tastings); entrance fees, meals, and all personal items during leisure time; travel insurance; excess baggage charges; gratuities and items of a personal nature; personal services in hotels (telephone, laundry, room service). Access our secure online reservation form by clicking the “Book Now” button on this page. Once your purchase is confirmed, your booking is guaranteed subject to our fine print (see our Terms and Conditions for full details). We limit the group to no more than 18 fellow adventurers. Do I pay a supplement for a single room? Yes, there is a $850 supplement for solo travelers, to be paid after your booking is confirmed.